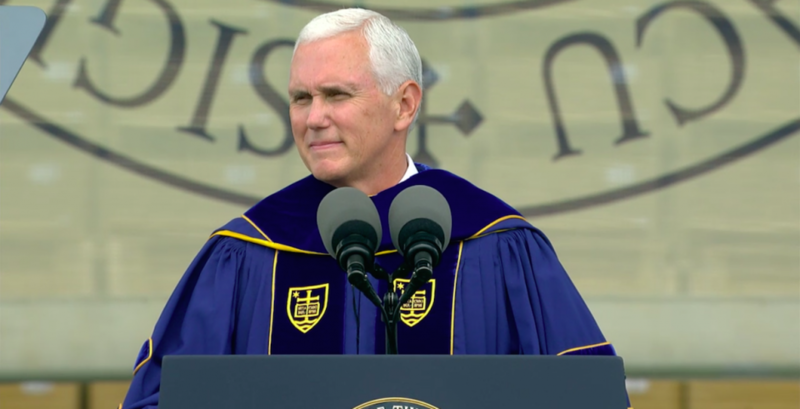 Over 100 students walked out of Mike Pence’s commencement speech at Notre Dame today. As the Vice President took the mic to begin his address to the Class of 2017, graduates got up and left in protest. Luis Miranda, a graduating student and organizer of the protest explained why he wanted to make a stand against Pence.